Tomer Tagrin is the co-founder of Yotpo, a platform that uses billions of behavioral data points and AI to help more than 200k online businesses acquire, convert, retain, and understand customers through user-generated content. Tomer Tagrin is the co-founder and CEO of Yotpo, a platform that helps online businesses acquire, convert, retain, and understand customers through user-generated content. 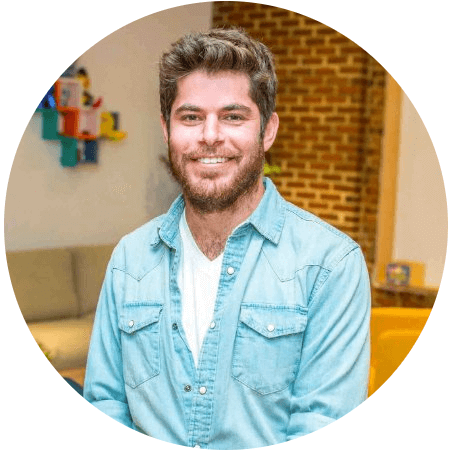 He founded the company with his best friend and CTO, Omri Cohen, in 2011. Tomer has lead the company in raising $50M in funding, growing to 250+ employees and opening offices in Tel Aviv, New York City, and London. When he’s not geeking out over data or eating oranges in the middle of meetings, he’s with his ferocious guard dog, Vamos, his beautiful wife, Adi and baby son, Itai.